Hotel Bfun is the newest hotel of Beauty Hotels Taipei Group, providing excellent and professional service into Taipei City. Hotel Bfun is designed and built in modern concept, with simple decoration and hospitable service creating a comfortable atmosphere for every guest. Limited but spacious rooms, wireless internet access, business facilities and travel consultants fulfilling guest individual needs. Hotel Bfun is here to satisfy your leisure or business travel experience. Only a 5-minute stroll from Shin Shin Department Store and Linsen North Road Shopping Area, Beauty Hotels Taipei - Hotel Bfun is located in Zhongshan District. It features modern rooms with free Wi-Fi access. 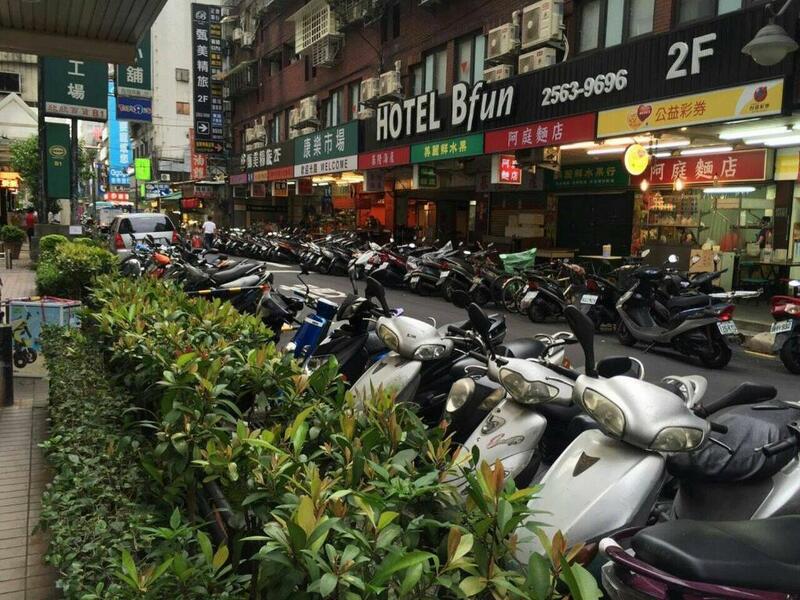 Taipei Beauty Hotels - Hotel Bfun is a 10-minute walk from MRT Zhongshan Station and MRT Shuanglian Station. It takes 10 minutes on foot from Zhongshan North Road Shopping Area to the hotel. Taipei Railway Station and HSR Taipei Station are both about a 5-minute drive away. Hotel Bfun is surrounded by restaurants, shopping centres, a cinema and even parks. Walking distance to Museum of Contemporary Art, Linsen Park, Spot-Taipei or take the MRT to Ningxia Night Market, Shiling Night Market, Ximending and Xingtian Temple. Hotel Bfun is at the centre of everything. There is a 24-hour front desk at the hotel. Staff at tour desk will gladly assist with trip plans and currency exchange. Surcharged airport shuttle and luggage storage are also available. Fitted with air conditioning, rooms here feature a flat-screen satellite TV, seating area, minibar and an electric kettle. Private bathroom with shower also includes a hairdryer, slippers and free toiletries. Two double beds. Some rooms do not have a window. One double bed and one single bed. Some rooms do not have a window. One double bed or two single beds. Some rooms do not have a window. One single bed. Some rooms do not have a window. We will send you a quotation within 48 hours (Monday to Friday).